Several years ago, when Jack was three, he saw me teaching an online art history class on my laptop. He asked what I was looking at. I told him it was a famous painting, and he toddled off only to return wanting to know what another painting was. Thus, began Jack’s art history class. If a three-year-old wanted to learn art history, I was more than willing to teach him. Owen came into the world a couple years later and is taking the art history class also. Jack and Owen can identify 50-60 different paintings and who the artist was that painted them. For Christmas and their birthdays, famous artists give Jack and Owen paintings as gifts. Owen has a handful of paintings by Vincent van Gogh. They are both quite familiar with van Gogh. 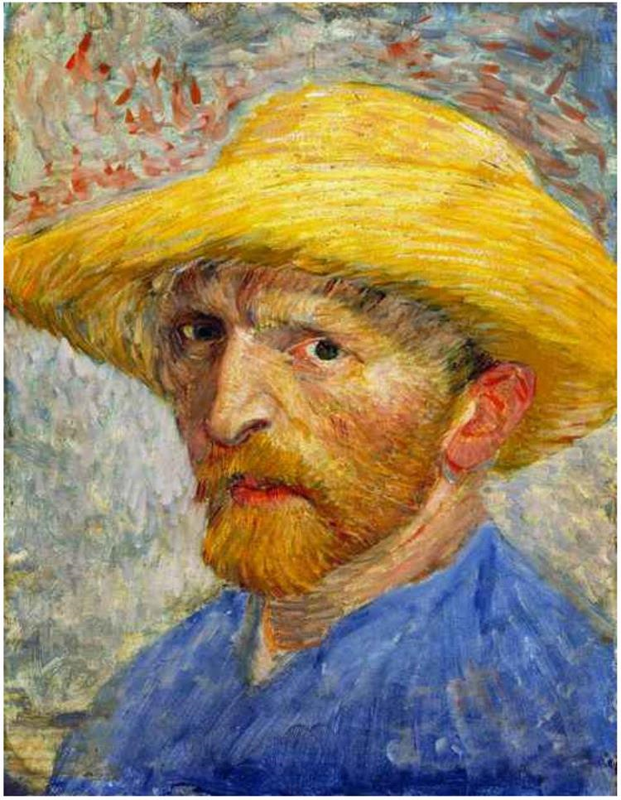 I told them that van Gogh painted about 30 self-portraits like this one called Self-Portrait with Straw Hat. 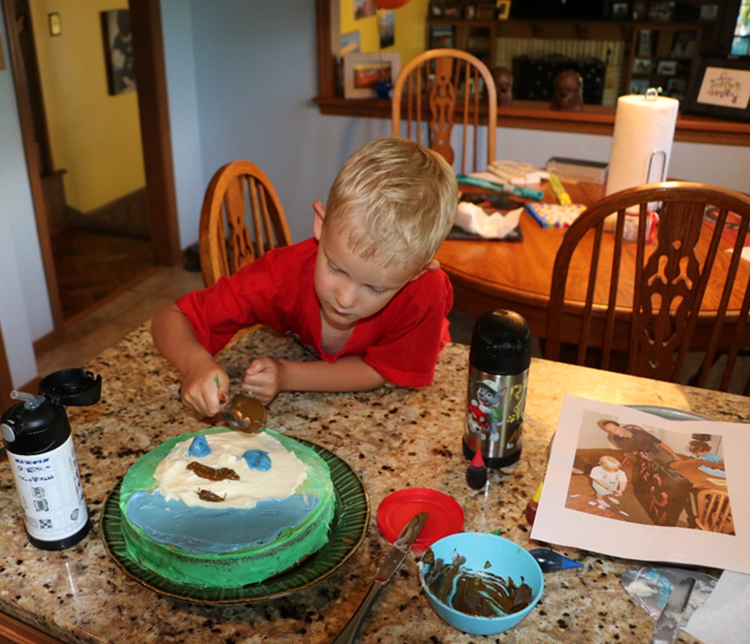 Therefore, I suggested for their father’s birthday cake that they do a version of a self-portrait of their daddy. 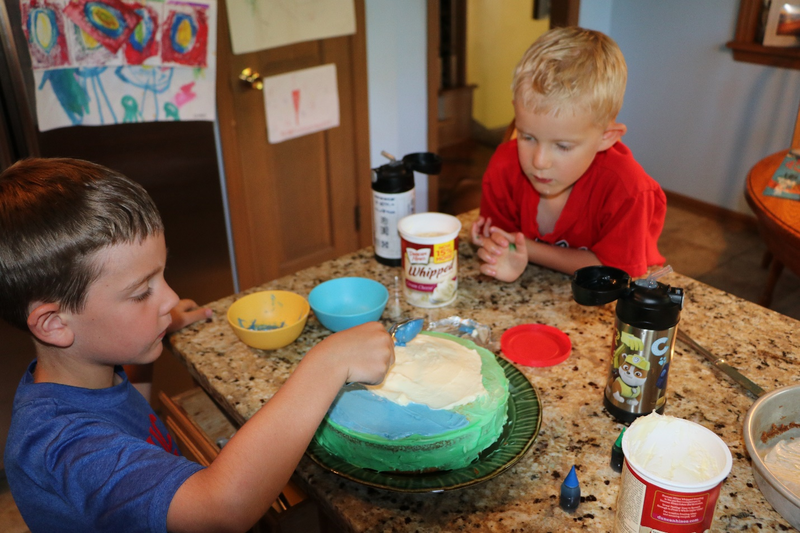 Working off a photo that I took off their Cookie Monster cake for an earlier birthday of their father, they worked on this year’s birthday cake. Jack is doing his daddy’s right blue eye. 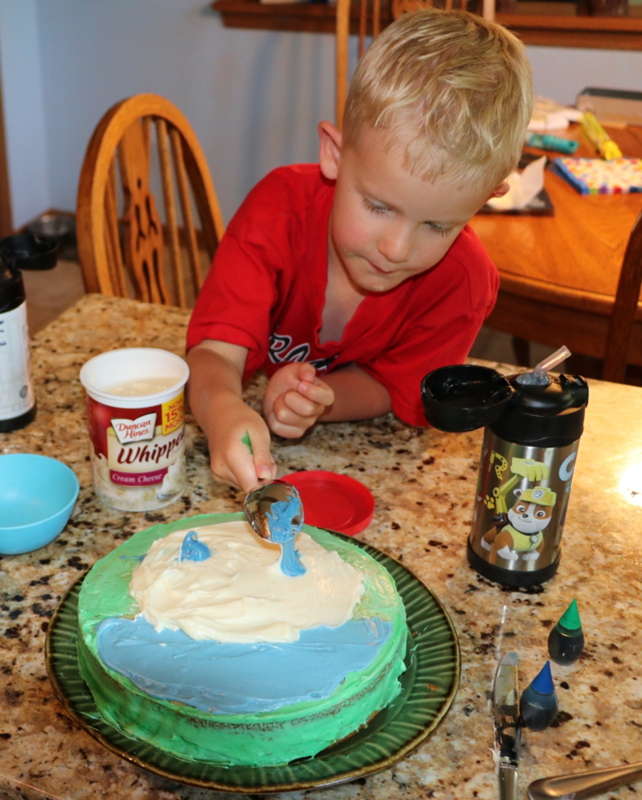 Owen is painting their father’s left blue eye. Jack had done his father’s mustache and goatee. Owen now addressed his hair. Having mastered their van Gogh-sequel self-portrait of their dad, I dismissed them for their recess, which was taking care of Ginger. 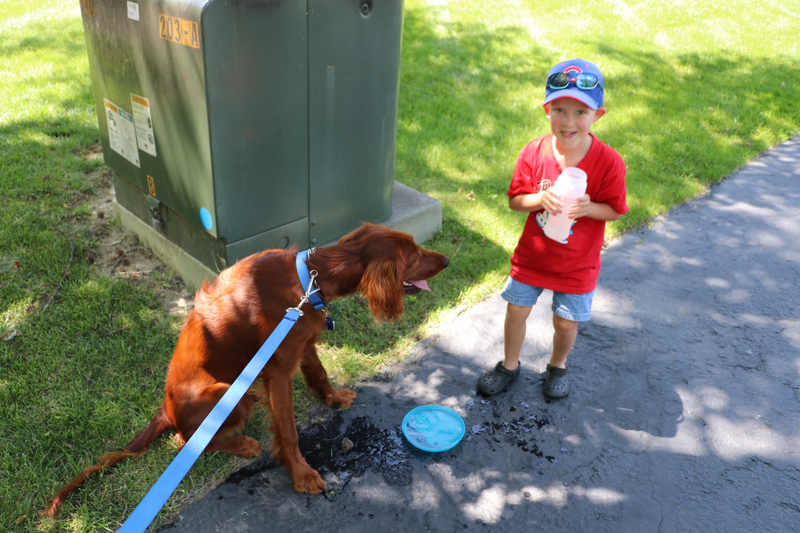 Ginger is almost a 9-month old Irish Setter that weighs 60-pounds and is hyperactive. Ginger won’t bite but will lick the boys all the time. Several month ago, Ginger attempted to play with Owen only to scare him. However, Ginger has attended puppy obedience classes and is trying to have fun without rattling small children like Owen. 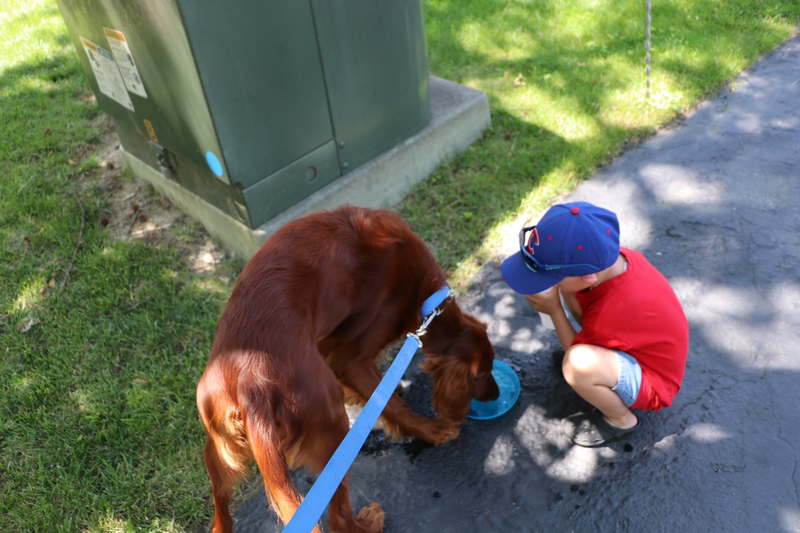 Ginger is a bit less playful now, which allows Owen to provide her with water. Ginger said, “Hey, I need more water." Since Jack was a couple years older, he could handle Ginger’s excitement and licking. Jack took Ginger for a walk when Ginger was not even four months old. He takes caring for Ginger as his responsibility. 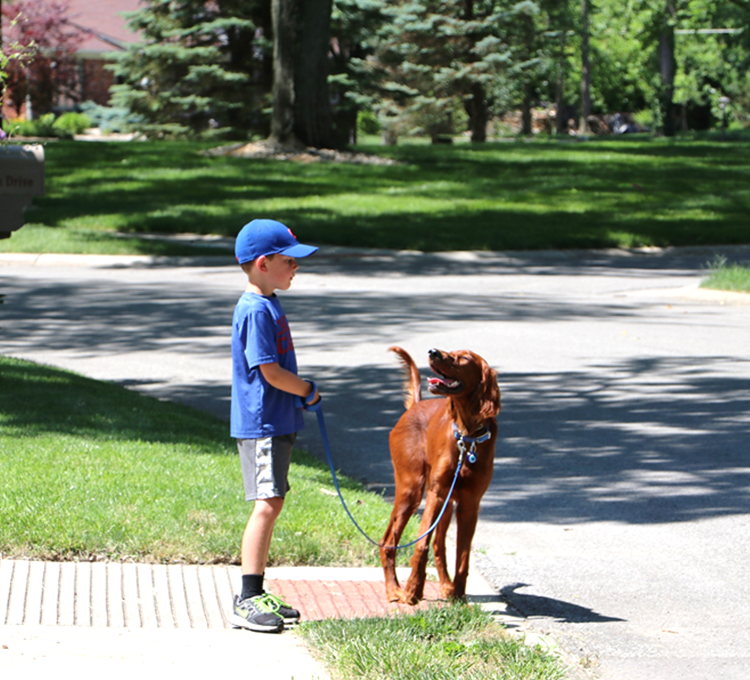 Jack is telling Ginger to look both ways before crossing the street. 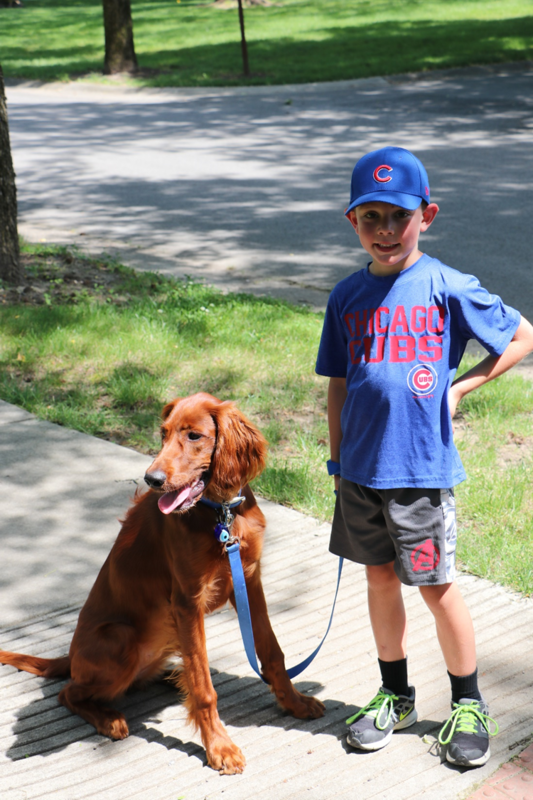 I didn’t hear what Ginger said, but I bet it was something like, “Your papa says that to me also when we are on walks.” When they walked home, both Jack and Ginger were pleased by their circumnavigating the neighborhood. Jack told Ginger about the birthday cake that they did for their father to which Ginger looked toward their home hoping that he could have a piece of cake.